On March 6, 2018, at New York City’s Yale Club, PK Network along with our clients Mediacom Business and Mediacom celebrated our collaborative efforts at the Cablefax Digital and Tech Awards Luncheon. Taking home a “Tech Advertising Campaign” win for our Gigabit+ Fiber Solutions campaign with Mediacom Business, and being Digital Awards finalists with Mediacom in the categories of “Social Media Campaign” and “Use of Snapchat,” made for a great way to celebrate our partnership. 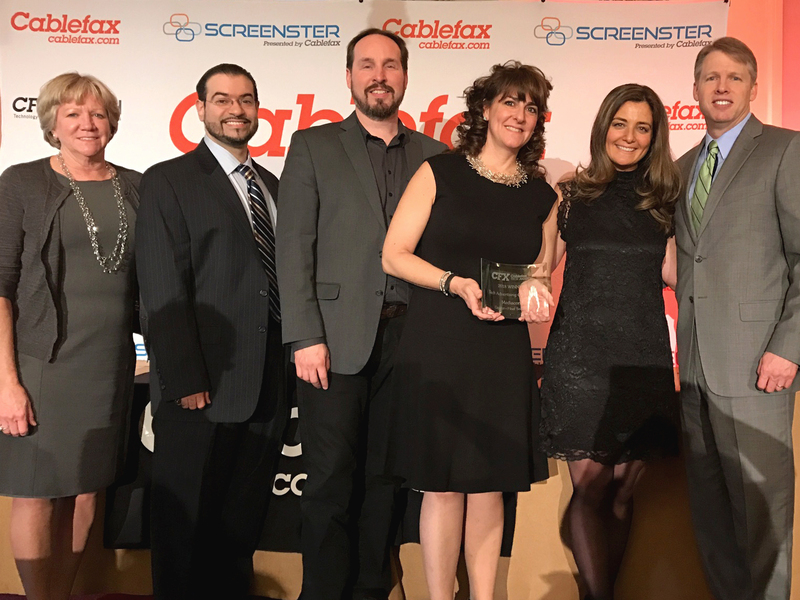 Mediacom Business and PK picking up our win at Cablefax Awards Luncheon for “Tech Advertising Campaign.” Our collaborative efforts with Mediacom Business and Mediacom continue to garner awards and recognition.